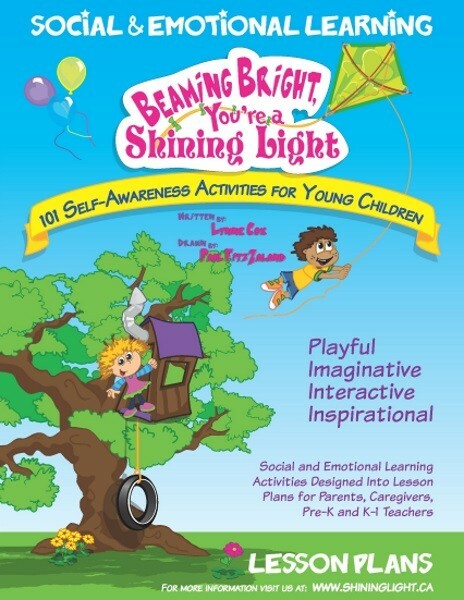 The Beaming Bright, You’re a Shining Light Lesson Plans for parents, teachers and caregivers has over 101 social and emotional learning activities where children learn through playful, imaginative interactions. Each activity builds upon a “Story Theme” to help children create a strong foundation of inner strength while building positive relationships for themselves and with others. The more children listen to the eleven delightful stories and experience the activities included in the Lesson Plans, the more they will recognize their personal value, strengths and abilities. Ongoing research from the Human Early Learning Partnership (H.E.L.P) at UBC shows that how children feel about themselves from birth to age six will greatly influence their behavior and how they interact in society. “Educating the mind without educating the heart is no education at all.” Aristotle. Children learn to empathize and support each other by listening to understand themselves and one another. As children are kind, caring and loving with themselves these feelings are then reflected in their interactions with others. Children recognize they belong and are valued members of their family and classroom. Children play with their imagination and learn how creative they are. Children recognize the goals they have already achieved and become more trusting and confident to reach their unlimited potential. Children learn to appreciate and accept their own and others' similarities and differences. 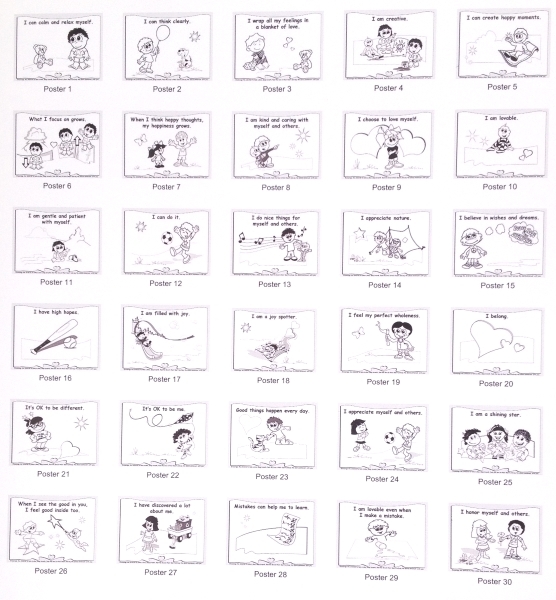 For each story the Lesson Plans include a learning objective, a selection of activities and a learning summary for parents, caregivers and teachers. These Lesson Plans can be used sequentially or easily included into an existing lesson plan portfolio. 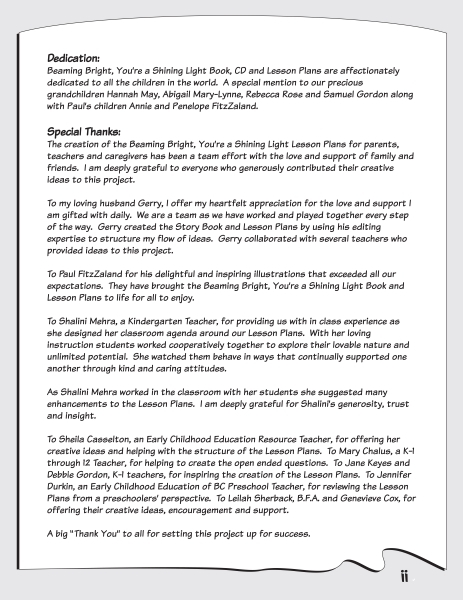 Special thanks to all the teachers who collaborated with us to create these Lesson Plans. 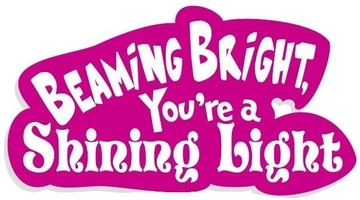 This set of 30 posters can be used to reinforce the positive attitudes of social and emotional learning. Research has shown that a child’s belief system is well established by the age of two and continues to be formed in their early years. Therefore, repeating the statements on these posters often will help children to believe in themselves, self-regulate their emotions and learn to love and appreciate themselves and others. These skills will help children develop a cooperative attitude and will positively influence their behavior and how they interact with others. To reinforce the learning concepts, read each statement and encourage the children to talk about how they feel and draw pictures of their personal experiences. Each poster is printed on 8 1/2″ X 11″card stock paper in black and white. These 65 Lesson Plan Play Characters can be used to reinforce the positive attitudes of social and emotional learning. 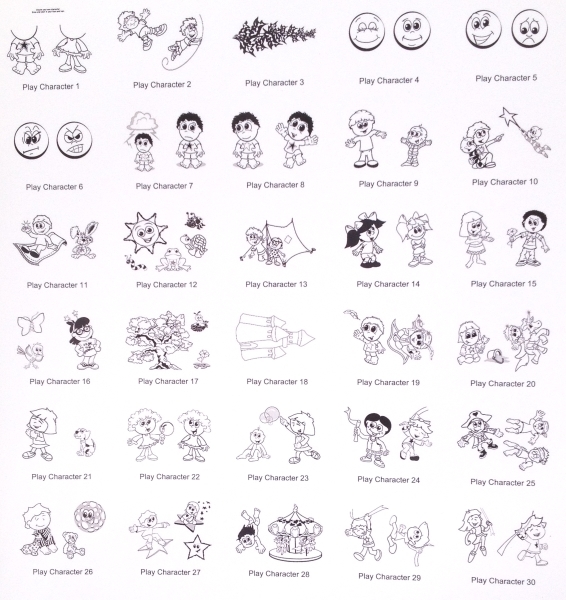 The children can have fun playing with these characters while you read the stories. Through the use of their imagination the children can also create their own journeys with the characters. Teachers are encouraged to model and reinforce the social and emotional learning concepts contained in the Beaming Bright, You’re a Shining Light Storybook and Lesson Plans. These concepts will help children learn to self-regulate their emotions and develop cooperative attitudes that will positively influence their behavior. Research has shown that a child’s belief system is well established by the age of two and continues to be formed in their early years. Each poster is printed on 8 1/2″ X 11″ 30lb stock paper in black and white. Please share with me the special moments you have enjoyed with the children in your class!